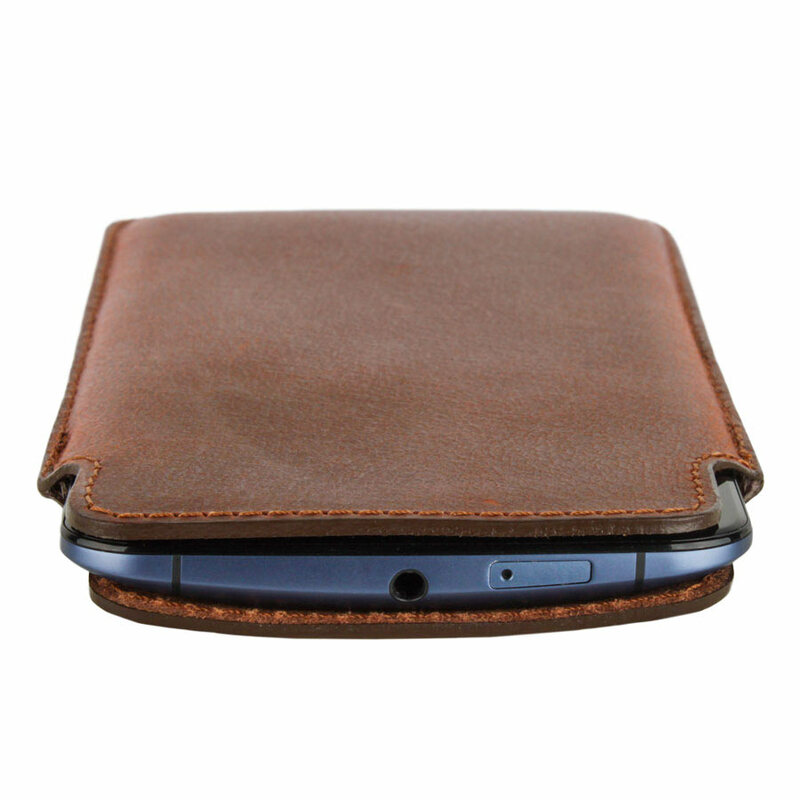 A unique, high quality leather case. A unique engraving on a black or brown case. Your design, your idea, your personalised phone case. High quality, engraved leather case! If you are looking for a phone case that will give your phone the highest level of protection and looks good at the same time, then you have come to the right place. 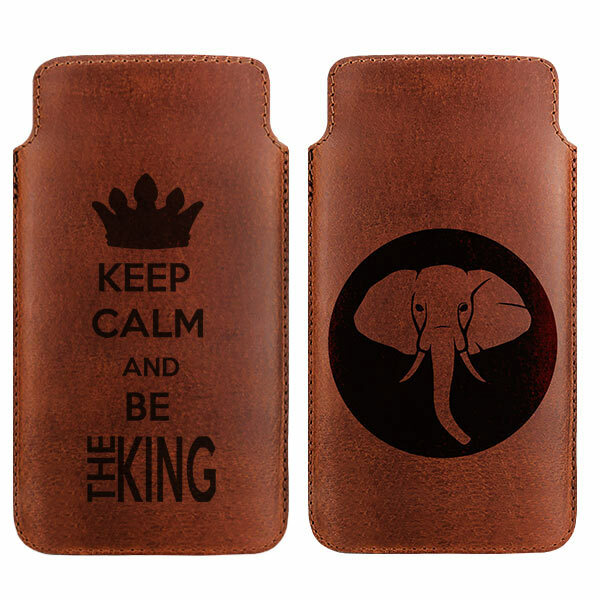 Our personalised leather cases are made of a high quality, buffalo leather. The phone case acts as a pocket in which your phone remains well protected from scratches and dents. 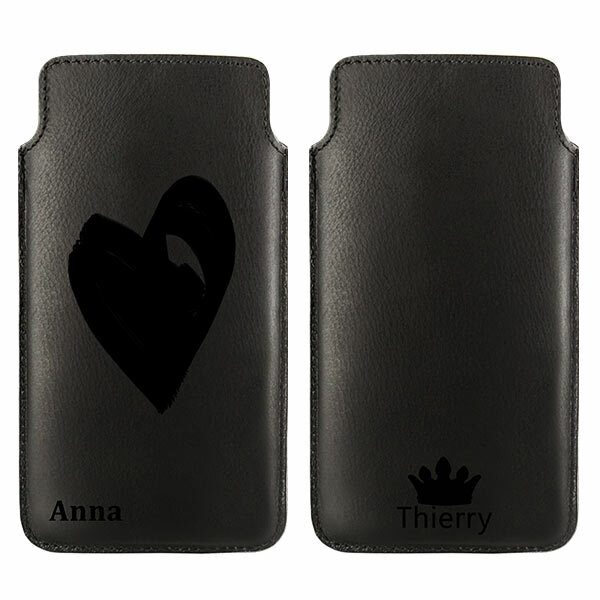 Here at GoCustomized we give you the option to engrave your own personal text and icons into the leather case. Think of the name of the person you want to give it to as a gift or a motivational slogan that means a lot to you. What are you waiting for? How to engrave your case? Making a cool engraved leather case is quick and easy using our design module. With this particular case you are unable to upload your own photo. We do however have a wide selection of icons you can use. In addition, you can use our text module to add some personal text. We have plenty of fonts for you to choose from and a combination of icons and text is possible. Be sure to not make the text or icon to small, this may result in an unclear engraving. 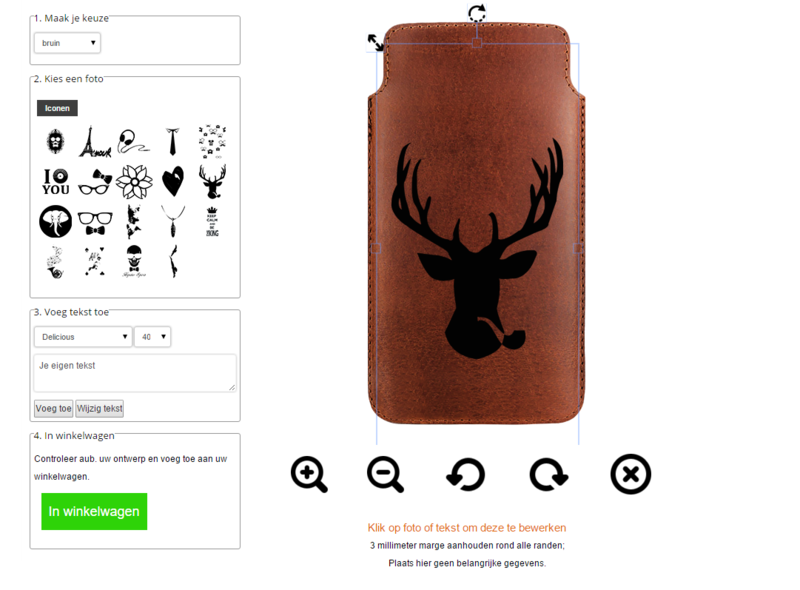 If you need some help with designing a personalised leather case, please contact us at any time! What happens once i've ordered my case? This case is suitable for: Apple iPhone 6(S), iPhone 7, HTC One, Honor 6, Huawei Ascend G6, Huawei Ascend P7, LG G2 Mini, LG G3S, LG G4C, Nokia Lumia 930, Samsung Galaxy A5, Samsung Galaxy Alpha, Samsung Galaxy Core 2, Samsung Galaxy Core Prime, Samsung Galaxy J1, Samsung Galaxy S5 mini, Samsung Galaxy S2, Samsung Galaxy S3, Samsung Galaxy S4, Sony Experia Z1 Compact, Sony Experia Z3 Compact.